Mother's Day is almost upon us and it's time to think how your mother impacted your life. Show her how much you care by sending her the most beautiful Mother's Day card. 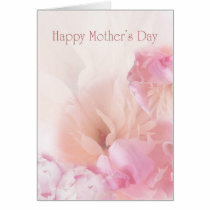 Find more wonderful Mother's Day cards here at Zazzle. 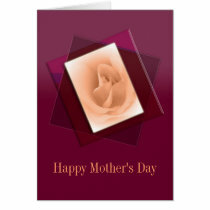 You will find Hallmark cards as well as many other designer's beautiful cards. 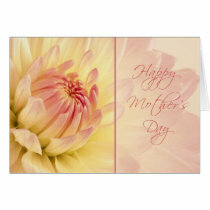 Another wonderful place to find beautiful Mother's Day cards is Greeting Card Universe. There are currently 15,000+ heart-warming designs in 90 categories including many specialized cards for your aunt, your sister, and your grandmother. All inside verses at Greeting Card Universe can be personalized by you, including some on the front of the card. 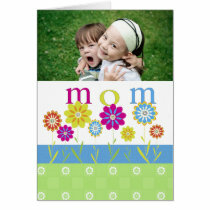 Many popular cards, you can even add your favorite photo of yourself or your special mother. My passions are graphic design and photography. Nature is what I find beautiful, but I tend to be drawn to floral and landscape photography.